Shortly before the outbreak of World War II, Heinrich Himmler, the head of the SS and the architect of the Holocaust, oversaw the construction of a special concentration camp just fifty miles north of Berlin. He called it Ravensbrück, and during the years that followed thousands of people died there after enduring brutal forms of torture. All were women. 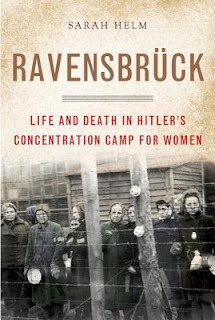 There are a handful of studies and memoirs that reference Ravensbrück, but until now no one has written a full account of this atrocity, perhaps due to the mostly masculine narrative of war, or perhaps because it lacks the Jewish context of most mainstream Holocaust history. Ninety percent of Ravensbrück's prisoners were not Jewish. Rather, they were political prisoners, Resistance fighters, lesbians, prostitutes, even the sister of New York's Mayor LaGuardia. In a perverse twist, most of the guards were women themselves. Sarah Helm's groundbreaking work sheds much-needed light on an aspect of World War II that has remained in the shadows for decades. Using research into German and newly opened Russian archives, as well as interviews with survivors, Helm has produced a landmark achievement that weaves together various accounts, allowing us to follow characters on both sides of the prisoner/guard divide. Chilling, compelling, and deeply unsettling, Ravensbrück is essential reading for anyone concerned with Nazi history. This is the gold standard for historical non-fiction in my eyes. You couldn't ask for better documentation/citation of the research. And the research itself is absolutely exhaustive. If it happened at Ravensbruck it is included in this book. I appreciated her decision to write the history biography style, so that we got the "life" of the camp in chronological order. Despite the heavy subject matter and the depth of the research, Helm manages to keep the reader interested and the story moving along. It took me over a month to read it, but I never once wanted to give up because it was so interesting. Any other book that took that long would have earned itself an automatic DNF spot, but this was too fascinating and informative to give up on. So as I mentioned above, this is a very long, very detailed book. If you're looking for a quick overview, this is not the place to start. It's highly detailed and covers every aspect of the camp. That also means that it contains some information that is very hard to read. Despite the length and the difficulty in reading about such evil, I think it was completely worth the time and effort. I learned so much more about concentration camps, and about how political prisoners, resistance fighters, and "asocials" (prostitutes, lesbians, anyone who spoke against Hitler) were treated. I was particularly surprised by how many German women were eliminated during the Holocaust and how many non-Jews were killed. It also really helped put the Holocaust in a historical context. I think because the images we see are all in black and white, it's easy to believe this is something that happened a long time ago. Reading this book helped me really grasp how recently this took place in the scheme of history as a whole. I highly recommend this to any fans of historical non-fiction, World War II, or who have an interest in human rights history. 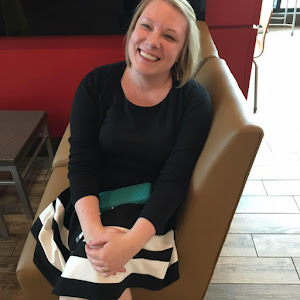 I also think it could be a possible crossover for fans of recent YA books like Rose Under Fire or Code Name Verity who want to read a non-fiction book to learn more about life in a concentration camp. That said, it is a very long and very detailed book. It also contains some very difficult passages on conditions in the camp and, particularly, medical experiments that were conducted on prisoners. As much as I enjoyed it and feel like I learned from it, there may be readers who aren't interested in investing the time or have the stomach for reading the more difficult portions. My opinion is that it's something we should all be familiar with, however, and this book is an excellent place to get a detailed account.